A fun, garden-y cocktail that is pretty but not too feminine. This recipe makes 2 cocktails. Either a handful of fennel fronds and/or a handful of lemon balm (or lemon verbena), torn. Plus some fennel stalk for muddling! 5-10 edible flowers from your garden, like sunflower or Black-Eyed Susan petals, nasturtium flowers, rose petals (unsprayed). Place the fennel fronds and/or lemon balm leaves and fennel stalks in a mixing glass and muddle. Add the gin, juice, and simple syrup, some ice and shake. 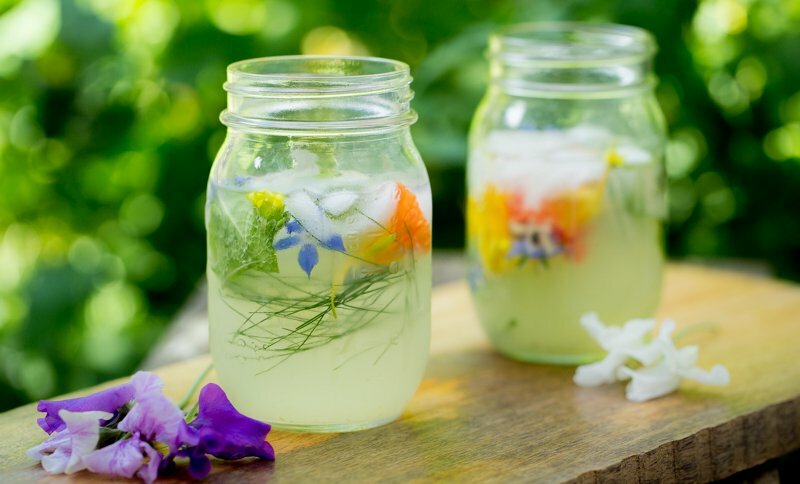 To a wine glass or Collins glass – Add ice, mint, and flower petals. Top with seltzer water (if desired). Strain the cocktail into the glass, using a straw or knife to distribute the ingredients evenly throughout the drink.